for selling furniture, selling real estate and designing homes." We make it easy to imagine your space with furniture. For furniture companies, Pandora's solution offers an upgraded spec sheet technology. 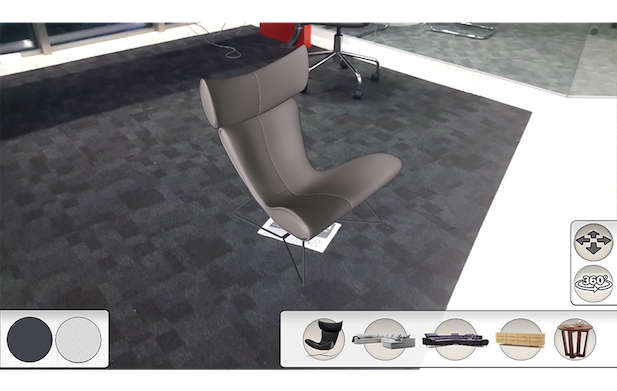 Customers can see a 3D Model of the furniture on their spec sheets and choose from available color and other options. Also they can place the spec sheet on the floor and see their furniture in actual size. Pandora's unique technology provides full detail on the texture and finish. We understand how challenging it is to imagine an unfurnished apartment might look without furniture. 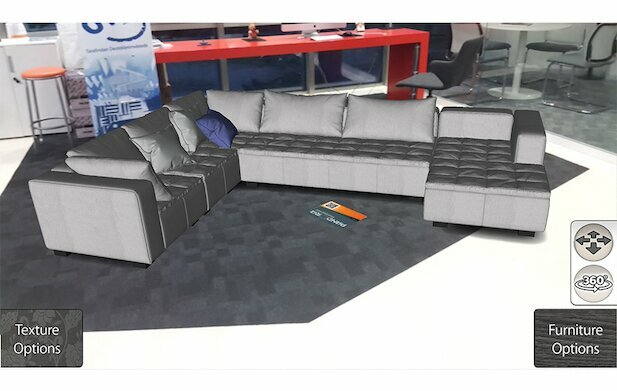 Your agents can have bunch of Virtual Furniture Sheets to place them on the floor and with the help of their mobile device, they can show the unit furnished, with the furniture of their choice. With our smart optimization algorithm, we create best graphic quality that a mobile device can generate without losing 3D model's details. You can easily compare the 3D quality with hours of rendered pictures. Your white label app will be ready to be downloaded from Apple App Store and Google Play in 7-10 days. How do you like the COOL features ?